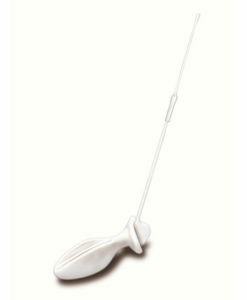 Luna Bead Mini are ideal for pelvic floor training. They are designed especially for the internal comfort of small sized women including women who have not given birth vaginally. 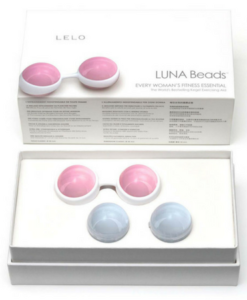 Developed in Sweden by Lelo, Luna Beads are recognized world-wide for their premium quality and design excellence. Our Luna Beads Mini sets are supplied complete with Pelvic Floor Physiotherapist instructions for home training. 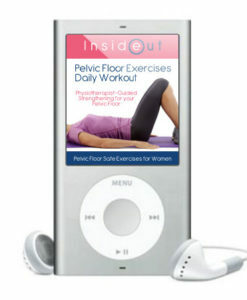 Luna Beads are an excellent choice for women seeking a quality all-in-one pelvic exercise product. 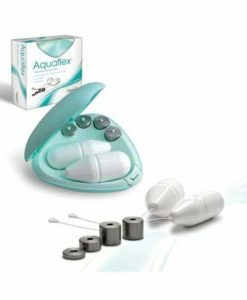 The Luna Beads system is a set of four pelvic floor exercise balls of varying weight. 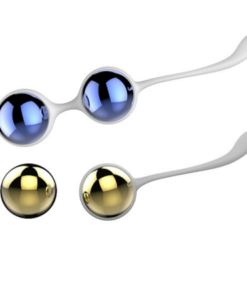 This clever design allows women to commence their pelvic floor strength training using the single most appropriate Kegel ball and then progress strengthening by combining different balls. Luna Beads Mini has been especially designed for comfort fit and pelvic floor strengthening with the smaller bead diameter of 29mm compared with that of the Luna Beads Classic design (35mm). Sized to suit women who have never undergone natural childbirth. Luxury packaging with satin storage bag. A soft white silicone girdle for combining weights. Luna Beads are provided with a one year warranty and are CE certified.